Advanced RVSP is required for all events. Come share the locals’ favorite spots for incredible views, seclusion and picnicking. Your invitation will give three clues about where you’re going. Meet at your assigned point, join the group and go (when possible, in an Inconventional way). 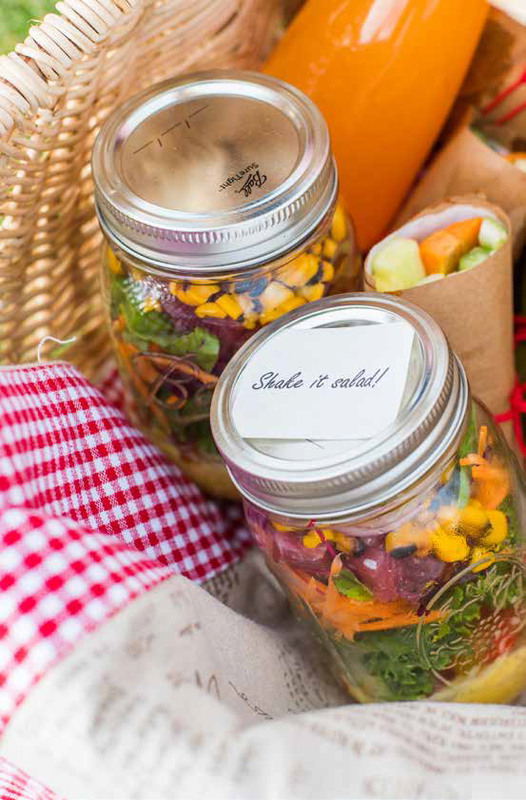 Take advantage of the club’s picnic basket service or bring your own. Live music and entertainment provide the perfect backdrop. Board our new Papagayo Explorer jet boat to a secret location. Take an e-bike or golf cart ride to a secret location. Our fun-filled explorations are tailored to 12- to 16-year-olds in search of adventure, self-discovery, self-confidence, new friends and a deep connection to our world and its denizens. Campers can pick their favorite days—or come for all three. An evening paddle on Bahía Culebra can take your breath away, especially during one of the seasonal upwellings in the Golfo de Papagayo. This is when plankton blooms occur, and nature’s most delicate creatures—millions and millions of them—drift with the current just beneath the surface. 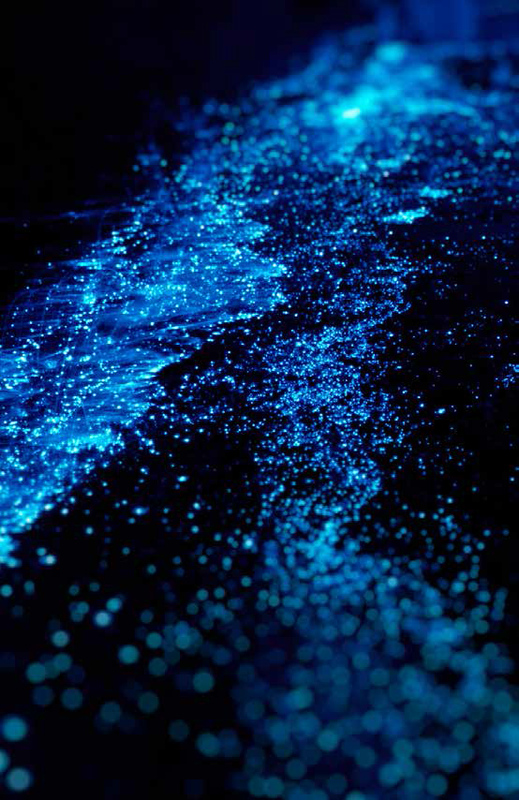 It’s an otherworldly display of dazzling colors and fantastical shapes, including some of the longest living animals on the planet performing an unforgettable water ballet known as bioluminescence. We’ll also make a stop at Playa Jicaro for beer buckets, bonfires and guitars. amazing beauty of Prieta Beach Club year-round. Have you always wondered what it’s like to breathe underwater? If you’d like to try scuba diving, but aren’t quite ready to take the plunge into a certification course, Discover Scuba is for you. It’s a quick and easy introduction to what it takes to explore the underwater world. Freediving is the sport of apnea—diving on a single breath of air. It’s a life-changing experience and the most natural way to explore under the waves. Learn to freedive during our supportive training session and you’ll improve your water confidence, take better underwater photos and redefine your limits. Get ready for an authentic ocean adventure. Improve your game with insightful golf clinics taught by our Four Seasons Golf Pro. Cost per person available upon request. Working out is the best reward to give back to your body. And working out in nature, with amazing views of the ocean, is an inspiring experience to live by. These workout sessions with a professional trainer will help you perfect techniques used in different exercises and challenge you to reach your best level—and beyond. Join a two-hour pottery workshop that focuses on using techniques developed by Chorotega ancestors centuries ago. Every week, learn the tastes and traditions of the Tico heritage via an array of workshops and lessons. New to the club: our own luxury jet boat, Papagayo Explorer, makes every day on the water a fun and unforgettable adventure. Rent by the hour for up to 10 total guests. Peninsula Papagayo has great circuits for going out on a bike to enjoy nature with its biodiversity of beautiful landscapes—and the chance to spot wildlife. While you work out on your bike, you’ll learn and connect with a pro bike guide who can teach the right techniques and help you develop your biking skills on a challenging mountain bike trail with obstacles. Your guide can show you different trail levels to suit your skills as you enjoy Guanacaste’s famed sunsets on our evening rides. Some places are more magical in the light of the moon and the stars. Feel the immensity of the universe and its oneness with you. Nurture your body and soul. Listen to the wild orchestra of the night. And get lost in the peace and beauty of this newfound solitude, where being present in the moment is an adventure all its own. Live the sensation of walking the forest at night with professional nature guides for the chance to view nocturnal opossums, raccoons, porcupines, reptiles, amphibians and amazing insects—like magical fireflies. 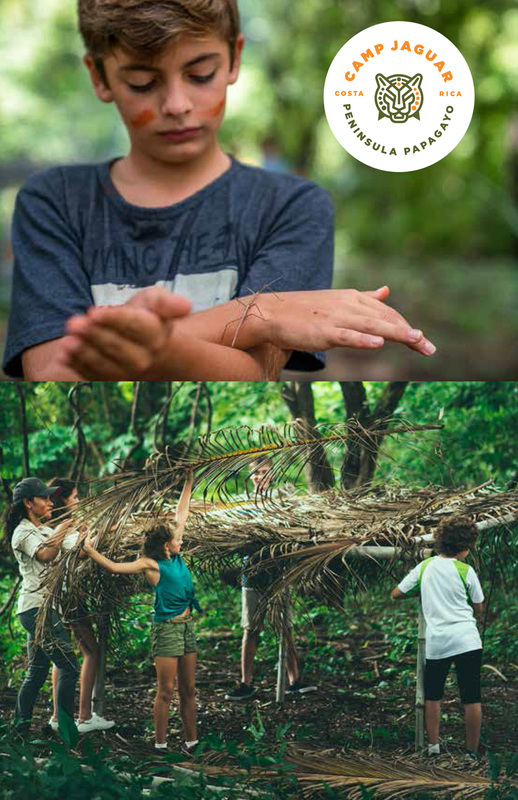 Go on a magical nature walk in the peninsula’s tropical dry forest to explore the flora and fauna of Peninsula Papagayo. Your passionate guide, complete with technical equipment, leads the way. Listen to the whispered secrets of big ash trees, plants, lizards, butterflies, birds, insects and monkeys, and learn their relationships with the natural order of the universe. Compete with fellow golfers for the longest drive—go long or go home. Set at night and powered by glow-in-the-dark gear, it’s a spectacle you won’t want to miss. Expect music, competition and a surprise pop-up bar concept. Swimming is invigorating, fun and good for the mind, body and soul. Ocean Swim provides an excellent stage to set challenges and achieve your goals, whether you want to get into open-water swimming, you’re looking for added motivation to maintain peak fitness or you simply enjoy swimming. Join fellow members in a private poker game at the exclusive Olas Member’s Lounge. Exercise sessions in the water are even more fun and efficient. Learn different routines and special moves, expertly guided by a professional trainer. For tennis enthusiasts, enrich your game with tennis clinics taught by our Four Seasons Tennis Pro on flawlessly groomed grass and clay courts. Share the peninsula’s favorite happy hour. Join fellow members every Thursday to watch the sun set over Prieta Beach and toast another perfect day. 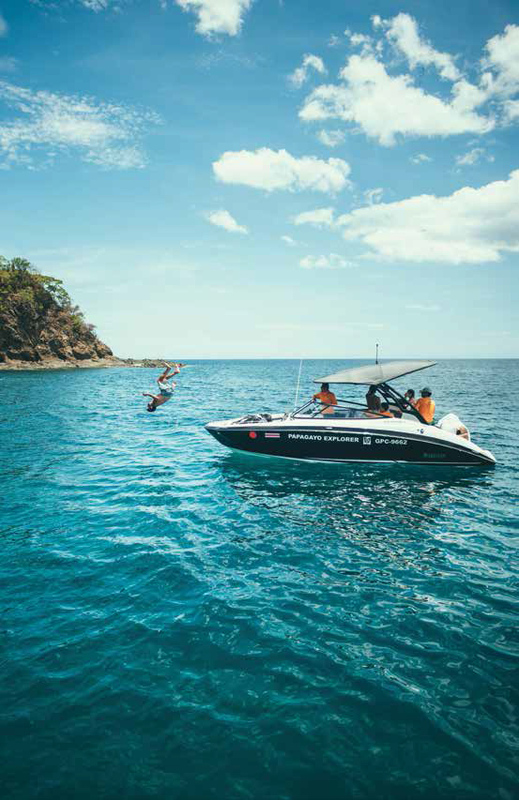 Try the latest craze in water sports and experience nature from a new perspective. The Golfo de Papagayo is a natural paradise, and the water bike is a unique and nature-friendly way to explore it. Self-guided and uncharted, it’s the perfect opportunity to explore tropical gold-sand beaches, turquoise waters and places of extreme natural splendor. The bay’s calm waters are ideal for gentle bike cruising, snorkeling, swimming and ocean life spotting. And yes, it’s for everyone. No matter what your fitness or experience level, you can enjoy a perfect day out on the water. Greet your day with morning yoga to balance body, mind and spirit. Personal trainers are on hand for guidance and motivation. email concierge@peninsulapapagayo.com or call +506 2696.2449.